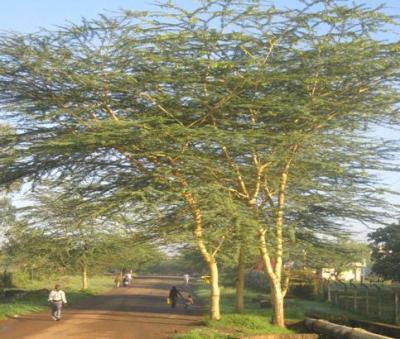 Fever tree / Naivasha thorn tree | Infonet Biovision Home. The tree is spread from Kenya south to South Africa. It is often found in clusters where the water table is high, beside lakes or rivers, 600 - 2, 300 m, often on black cotton soils. The bark extract was traditionally used for treatment of malaria. It is also a useful tree for protection of water courses and is good in pastures due to its light crown. The seeds and wood are susceptible to insect damage. Altitude ranges from 600-2 100 m above sea level. A. xanthophloea prefers sandy soils. Seedlings, wildings or direct sowing at site may be used to propagate it. This is one of the fastest-growing thorn-tree species in Africa. It can withstand lopping and if planted as an ornamental, trees should be planted in groups of up to 5 for the best effect. Though its root system is not aggressive, due to the large size of its taproot it should not be planted close to buildings. Fuel; it is a good source of firewood and charcoal. Dead fence; dry branches are used as fence and is effective due to the thorns. Fodder: Foliage and pods provide food for livestock; young branches and leaves are eaten by elephants and the leaves and pods by giraffe and vervet monkeys. Apiculture: Trees produce good bee forage. 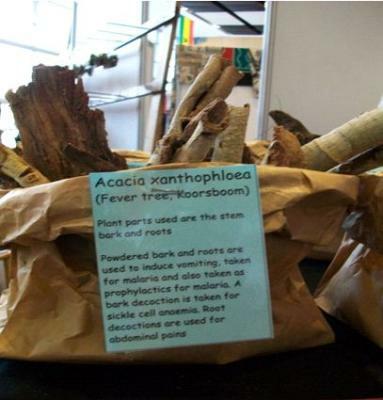 Fuel: A. xanthophloea is planted as a source of firewood, although it produces a gum that leaves a thick, black, tarlike deposit when burnt. Soil improver; improves soil fertility by nitrogen fixation. Prevents soil erosion along rivers; it is good at riverbank stabilization. Ornamental; it is largely planted at the coast as an ornamental tree. Shade or shelter: A. xanthophloea provides nesting sites for birds. Nitrogen fixing: A. xanthophloeafixes atmospheric nitrogen. The seeds and wood are highly susceptible to insect damage. The vervet monkeys often eat young pods making them not readily available from the natural stands.